Super Smash Bros. Ultimate is headed to the Nintendo Switch on December 7th, and support for the classic Nintendo GameCube controller is coming with it. 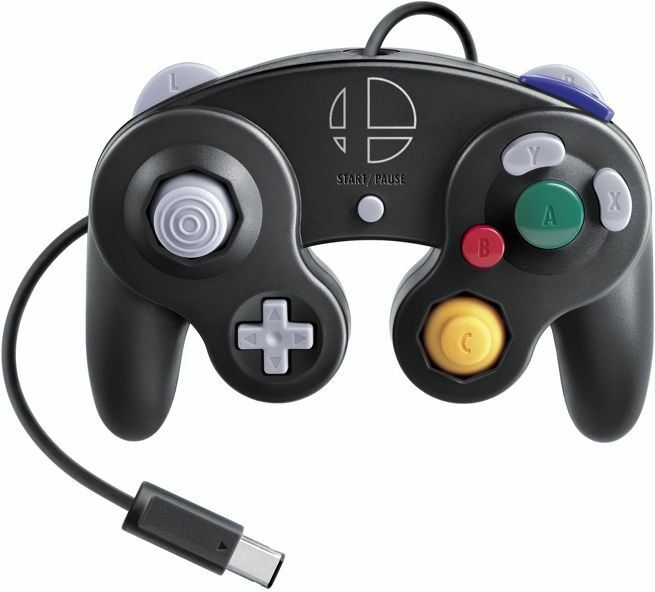 The new Smash Bros.-branded GameCube controller is basically the same as the one Nintendo offered for the Wii U version of Smash Bros. That having been said, if you already own the Wii U adapter for the controller, there’s no need to purchase another - it will work for the Switch as well. If you don’t own it, Nintendo has re-released the adapter with new branding. The adapter is available to pre-order on Amazon right now for $19.99. The controller itself is available to pre-order here for an additional $29.99. Both are covered by Amazon's pre-order price guarantee. Of course, if you're going to get the GameCube controller for Super Smash Bros. Ultimate, you're going to need the game. Fortunately you get your pre-order in on Amazon until December 7th with a 20% Prime discount. If you’re committed to getting this game, it’s best to grab the discount early just in case anything changes. Plus, you won't be charged until the game ships and you'll get any extra discounts that occur between the time that you order and the release date. The discounted $48 price tag for the physical copy is looking like a pretty good deal because the game will feature every single character from the series history. EVERY SINGLE CHARACTER! Officially, that means that there are 66 fighters in total (including Ridely), which undoubtedly makes it one of the biggest crossover games ever made. You can take a closer look at the game via the trailer above. "Super Smash Bros. Ultimate will include every single fighter ever featured in the series’ nearly two-decade run, making it one of the biggest crossover events in gaming history. Fans can enjoy returning favorites like Ice Climbers and Pokémon Trainer, as well as newly announced fighters like Ridley from the Metroid series and Inkling from the Splatoon series. The game supports a variety of controller options, including Nintendo GameCube controllers (original or newly designed), Joy-Con controllers or the Nintendo Switch Pro Controller. With Nintendo Switch, players can throw down whenever and wherever they like in Handheld or Tabletop mode while enjoying online play."